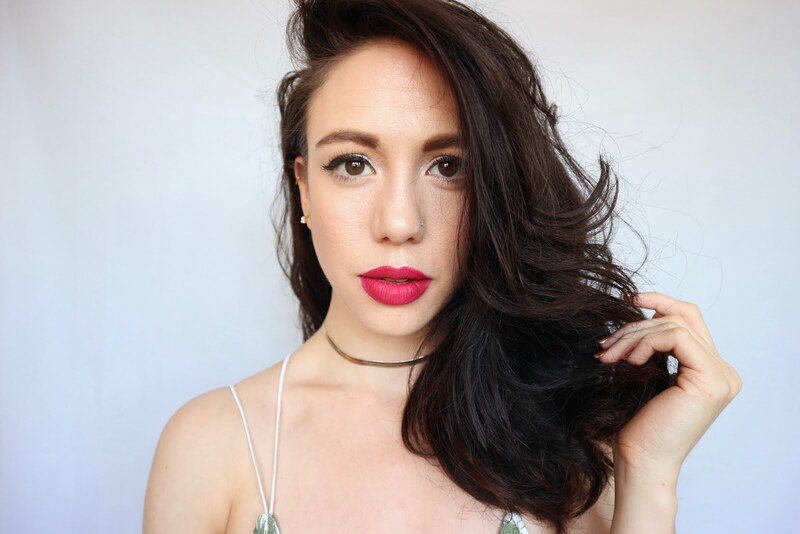 Back Story// Over the years I've made several attempts to embrace lipstick, while I'm not the most self conscious person, it did take a good few years to get used to the size of my lips. Now first off I LOVE big lips (i also love thin lips and medium lips, no shade throwing here) and my lips aren't huge but before puberty worked it's wily ways on the rest of my face, my lips were as big as they are now, so the rest of my face for a good few years had some catching up to do (i didn't develop a proper bridge to my nose until i was in my early twenties!) This made me 'aware' shall we say, of them more than other parts of my body. I also had a nervous tick of biting and picking them which didn't help. 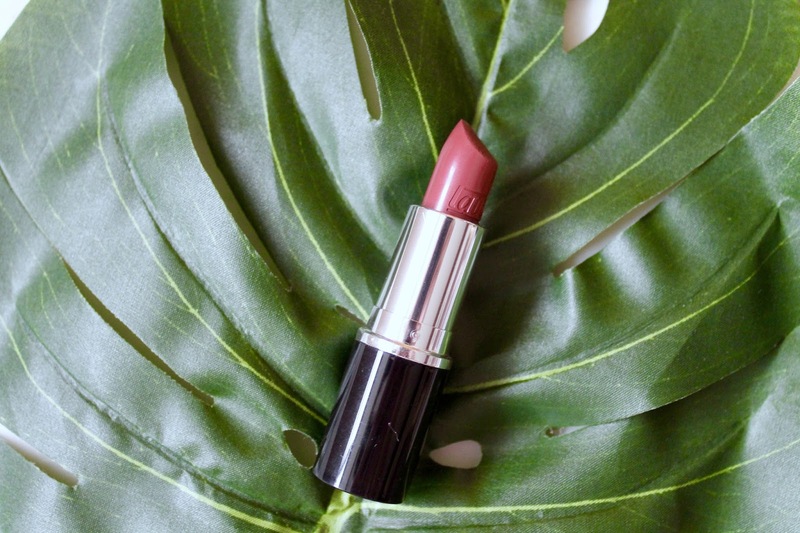 Currently// However, lately, maybe with the lip size obsession sweeping the beauty world, I've been really enjoying wearing and testing out lipsticks and not chickening out wearing it regularly, in public and funnily enough the biggest test, around my family. 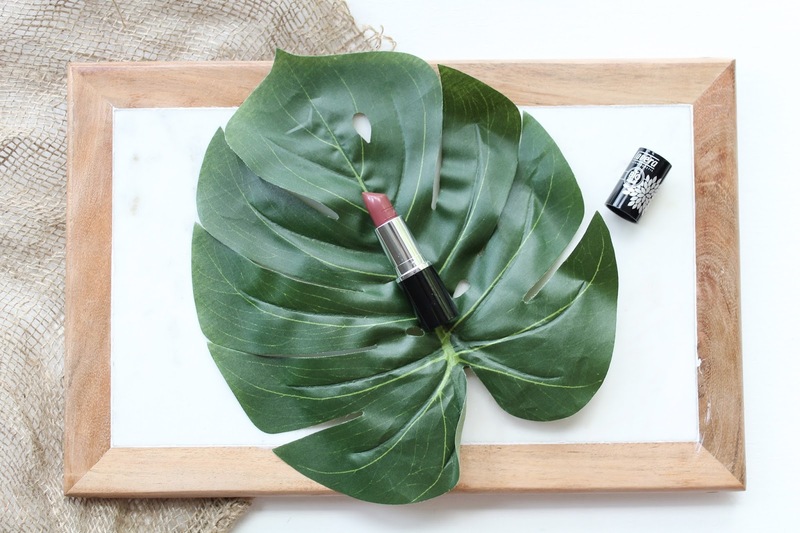 I am a full on lipstick convert and I've already chalked up a 100hrs trying to hunt down a natural alternative for matt liquid lipsticks (a girl can dream)! My Lips But Better// That old blogger chestnut, but so very applicable to one of my fave lipsticks at the moment. Lavera Beautiful Lips Colour Intense in Maroon Kiss*. This lipstick is a confusing one, one of those that looks dramatically different in different lighting. It is a dusky dark pink with brown undertones. I wouldn't say it is maroon in colour, nor brown, nor pink, its like a blend of them all. In the shot above its taken in natural light without a flash and looks like a perfect 'my lips but better shade' and I think it is banging! The formula is very very creamy and smooth. It goes on really easily and doesn't dry the lips at all. The finish is a satin to glossy finish. As the formula is so smooth and creamy I don't find it has that much lasting power, however because its quite hydrating I actually don't mind re-applying it, I almost treat it like a highly pigmented lip balm that I pay a little more attention to than a regular tinted lip balm. The packaging is lovely, and I really appreciate the design of the lip having a clear top so you can see the colour when its stashed away even if you cant see the colour sticker on the bottom. Unfortunately my packing broke a bit as the metal case that you use to swizzle the lipstick up has become detached from the swizzle mechanism underneath so I have to remove that and then swizzle it up by the actual mechanism. I havn't seen anyone else have this problem though so I suspect it's just a rogue one. Depending on the retailer it sells for between £9 and £11 which I think is a good price and I've already got my eye on the Matt'n Peach shade to get my matt peachy fix! NOTE// This lipstick does contain carmine. What's your go to lipstick at the moment?